Ordering from CANADA? Click HERE. If you require the question ANSWER KEY, you must instead purchase the LEADER GUIDE. 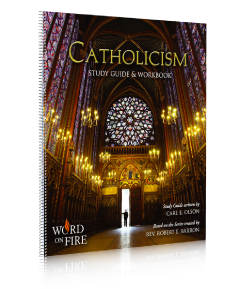 The Study Guide takes you deeper into the Faith along with the CATHOLICISM Series. It is appropriate for individual or group study. 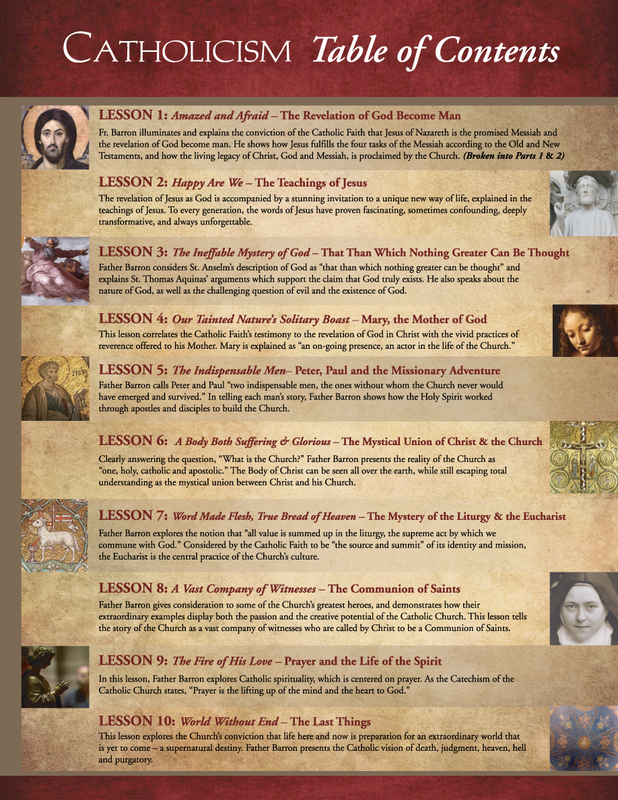 Each study guide lesson provides an extensive commentary on the theological content of each episode, plus “Questions for Understanding” and “Questions for Application.” The “Questions for Understanding” incorporate references from scripture and the Catechism of the Catholic Church to build on topics featured in the series. The “Questions for Application” help in reflecting on the ways in which Bishop Barron’s messages are relevant in your own life and experiences. 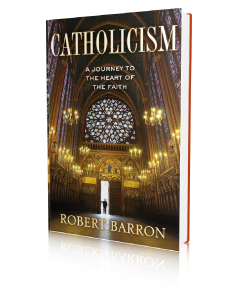 The study guide commentary and questions were written by Catholic author Carl Olson under the guidance and approval of Bishop Robert Barron. Click the “Play" button below to watch the entire Episode 6 - The Mystical Union of Christ and His Church. Bishop Robert Barron created this groundbreaking program as a thematic presentation of what Catholics believe and why, so all adults can come to a deeper understanding of the Catholic Faith. Not a video lecture, Church history or scripture study, this engaging and interesting formational program uses the art, architecture, literature, music and all the treasures of the Catholic tradition to illuminate the timeless teachings of the Church. The Study Program can be experienced in 12 or 22 sessions. 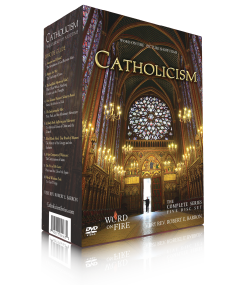 - CATHOLICISM DVD/Blu-ray - The complete film series on DVD or Blu-ray. Filmed in 50 locations throughout 15 countries, the ten episodes reveal the Faith in a breath-taking and compelling way, with original, high-definition cinematography. - Leader’s Study Guide - Includes facilitator’s guide, lessons, and study guide answer key. - Student StudyGuide - Written by Carl Olson for each DVD, complete with extensive commentary, questions for understanding and also questions for application to each participant’s own life. 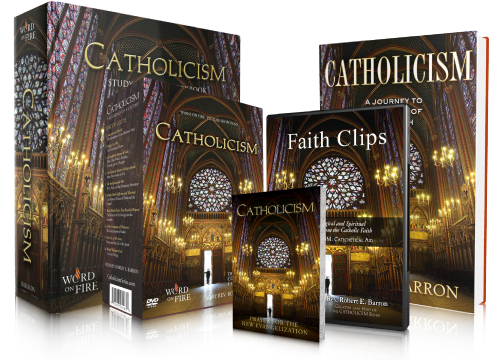 - CATHOLICISM: Journey to the Heart of the Faith - A companion hardcover book based on a more detailed rendering of the scripts from the DVD series. - Leader's Program Kit - Includes core and supplemental materials needed to host a program, especially for lay leaders. - Support Materials - Promotional materials and other aids to enrich your program. - Spanish and English subtitles included in each DVD set.